Three years after Spain’s economy returned to growth under the conservative Partido Popular (PP) administration of Prime Minister Mariano Rajoy, the country’s commitment to providing development aid overseas has fallen to levels not seen since the 1980s, according to a new report on European-wide development aid produced by the Concord Europe platform of non-governmental organsations. 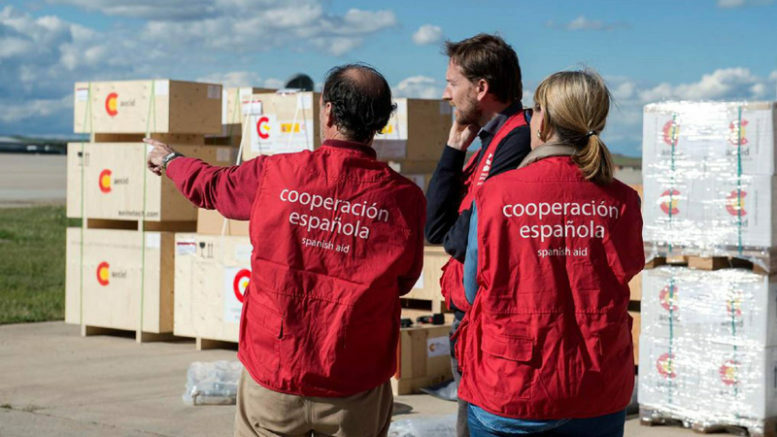 According to the just-released Concord AidWatch Report 2016, despite Spain’s having the fourth-largest economy in the Eurozone and the fifth-largest across all of Europe, the country has fallen to 19th position among 28 European countries in delivering aid to lesser-developed countries, providing just 0.13 percent of the country’s GDP during 2015. That amount, says the 2016 AidWatch report, falls far short of the 0.7 percent of GDP Spain has pledged in line with United Nations recommendations and sees Spain lagging fellow-European countries with far smaller economies, including Greece, Portugal, Estonia and Slovenia. Overall, European counties together account for the greatest amount of foreign development aid worldwide, setting aside 62.4 billion annually, an increase in foreign aid funding during 2015 of 8.7 percent as compared to 2014. On the down side for Europe, says the AidWatch report, Europe still dedicates just 0.44 percent of the region’s total GDP to foreign aid, considerably lagging the UN-recommended level of 0.7 percent of GDP.